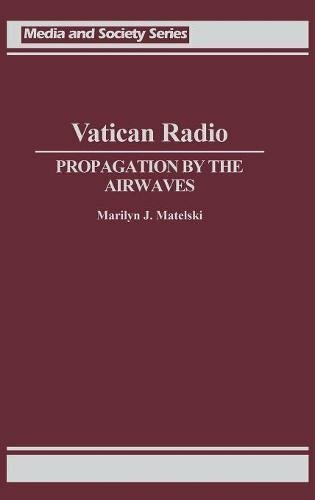 The history of HVJ, Vatican Radio, is discussed in this work along with its role in propagating church policies in all areas. Central to the discussion is the interrelation between leadership and social change as well as the necessity of creating a propaganda machine to maintain the existing system or to create a new order. Vatican Radio has served as one of the major media instruments of the Pope and the Roman Catholic Church since its beginning in 1931. Scholars in either media or religion will be interested in this ground-breaking work. If you have any questions about this product by Brand: Praeger, contact us by completing and submitting the form below. If you are looking for a specif part number, please include it with your message.